The room is located on the 3rd floor, overlooking the quiet street and it has a terrace. 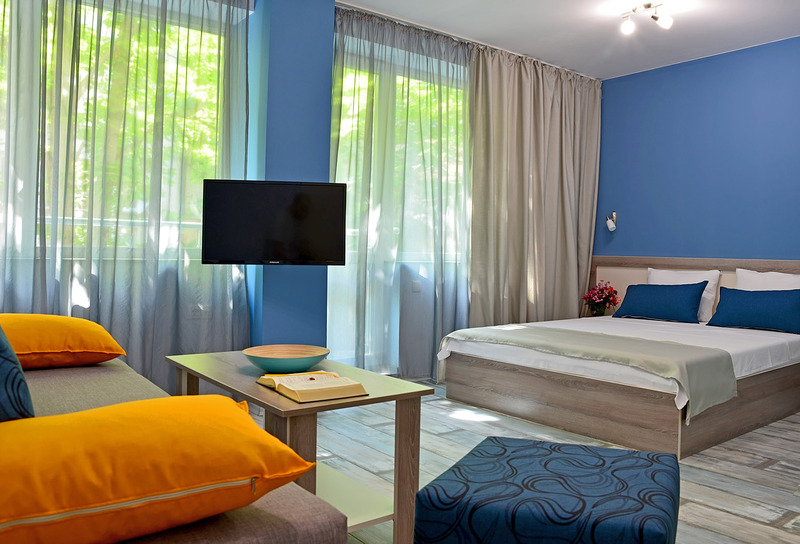 Each room has free Wi-Fi, a TV with satellite programs. The heating and cooling is through a central air-conditioning system, and each room has a separate air conditioner allowing for individual adjustment. Solar collectors are used to heat hot water. Smoking in the entire building is absolutely forbidden. A fine of 50 Euro is imposed on a violation. Accommodation is done after 3 p.m.